A small sampling of prior work. I've been working on Photoshop for several releases, beginning with CC 2014. Here are a few of the projects that I've undertaken in that time. 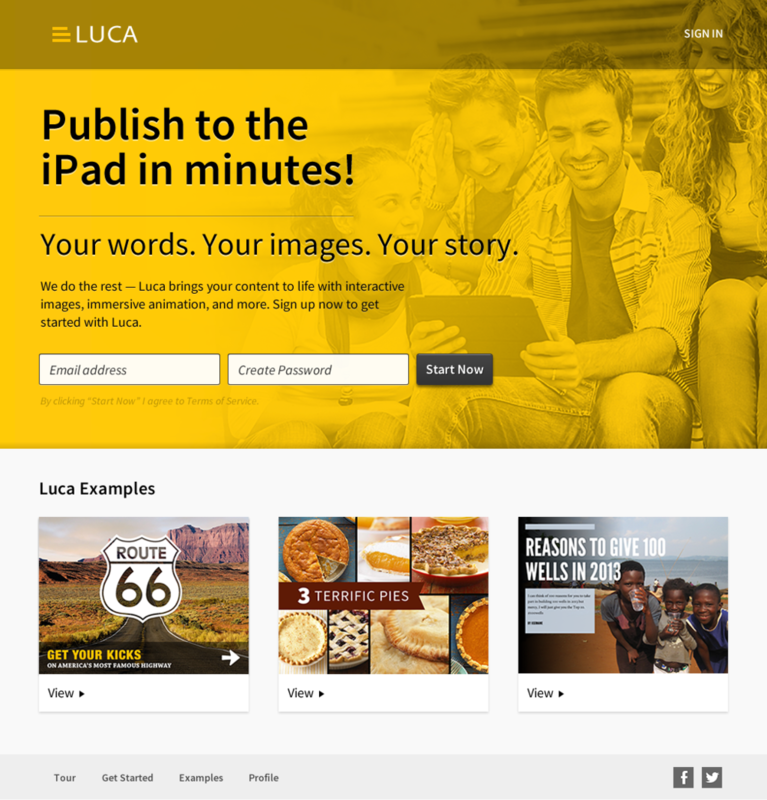 Luca was an exploration and prototype in creating interactive content with images and text. This was eventually brought to market as Adobe Slate. I worked with a small engineering team in exploring, researching and defining the concept. Created several iterations of the product and marketing material for research sprints. OnView is a rich multimedia application that seeks to enhance the experience of patrons visiting the Wexner Center for the Arts. This application will be a guide to the content on display in the galleries, providing information on the art and artists. The application's goal is to allow the exchange of dialogue and feedback amongst patrons. This interaction will create a sense of community among patrons and allow them to express their opinions on the art. Awarded Best of Category in Student Work, 2010 CSCA Creative Best. Artwork created after spending time with family during the holidays. We passed the time by playing a dart game called cricket. That served as the inspiration. Created in Adobe Illustrator. A selection of posters designed for the Wexner Center for the Arts. These were displayed for passerby outside of the Wexner Center in a poster box. Posters advertised the wide range of events held at the center, from modern dance performances to showings of archived baseball footage. Advertisements for the Wexner Center Store, located in the lower level of the Wexner Center for the Arts. These were part of a push during the holiday season to attract shoppers to the store, spinning it as an alternative to the shopping centers. I was responsible for photography and layout.